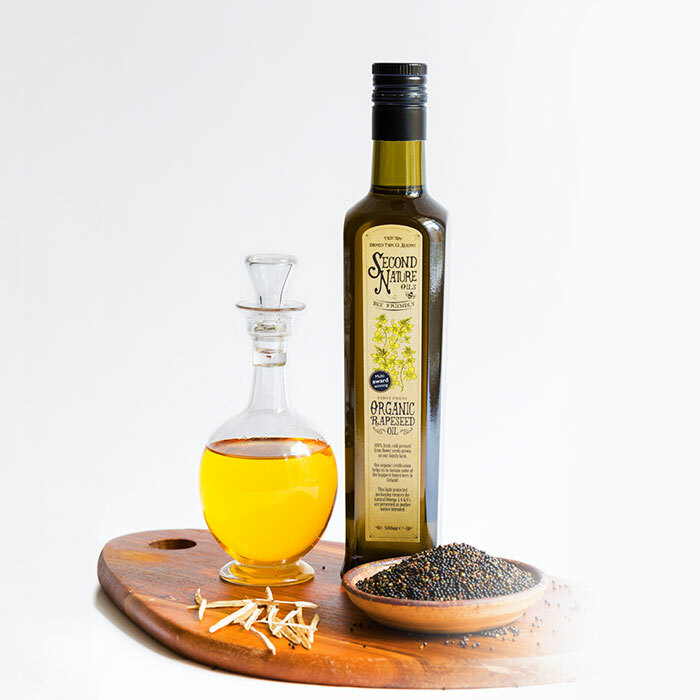 Organic rapeseed oil is known to the health conscious and many dietitians recognise it’s nutritional benefits, not to mention the fact that chefs love it. Organic rapeseed oil is a rich source of omega-3, 6, 9 and Vitamin E. Both omega-3 and 6 are known as essential fatty acids (EFAs) meaning they are essential nutrients that the body needs to function properly and cannot be manufactured by the body itself, unlike the other fatty acids. Therefore they must come from the diet and be consumed on a regular basis to ensure the body does not become deficient and develop disorders such as kidney and liver abnormalities, lowered immune function, dry or cracked skin and even depression. Omega 3 is a powerful anti-inflammatory nutrient and in todays world where stress and environmental toxins are common it can play a hugely important role in dampening excess inflammation in the body. The inflammatory response is the body’s natural way of healing from injury and illness, however, chronic inflammation is when there is too much inflammation for too long and this is now believed to be at the root cause of many diseases such as heart disease, diabetes, Alzheimer’s and more. Organic oils such as cold pressed rapeseed and flaxseed that are especially high in omega-3, when consumed regularly, are great ways to assist your body in dampening down any inflammation and may help to prevent and even lesson symptoms of some common diseases. Omega-3 has many other health benefits. It helps to normalize lipid levels, lower blood pressure, help prevent the build up of plaque in the arteries that can lead to coronary disease and improve glucose metabolism. Rheumatoid arthritis, depression, autism and many other conditions can also be improved by increasing your Omega 3 intake. Omega 6 is essential for forming the building blocks for brain and eye tissue. 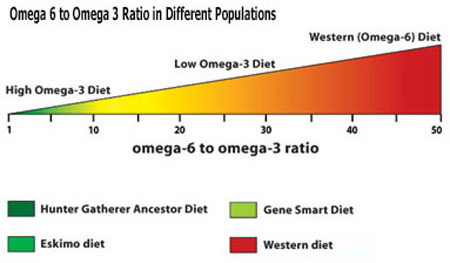 Nutritionists advise a 1:1-1:2 Omega 3 to 6 ratio in the diet because this is the ratio found in the diet of our ancestors that our bodies adapted to and cold pressed extra virgin rapeseed and flaxseed oil have this perfect ratio. 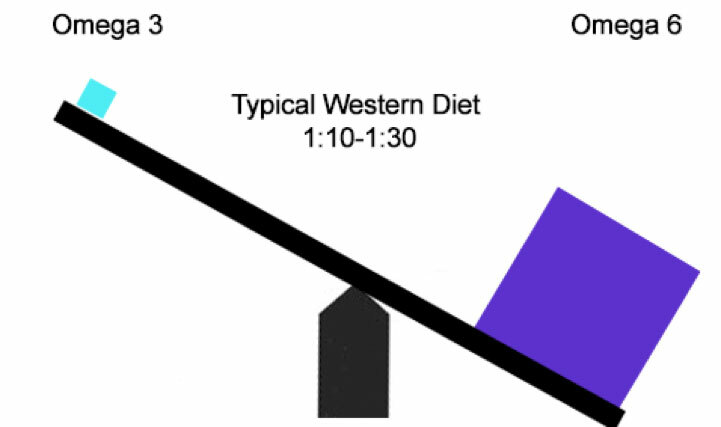 Therefore most nutrition experts agree that restoring a more optimum omega 3:6 ratio (1:1 -1:2) is a pillar of a healthy diet and plays a key role in dampening inflammation in the body. Dr. Tanya Edwards, director of the Center for Integrative Medicine, has stated that inflammation is now being recognized as the “underlying basis of a significant number of diseases” so getting the omega 3:6 balance right in your diet may be key to both preventing chronic disease and also helping manage symptoms if you already suffer from a chronic disease. 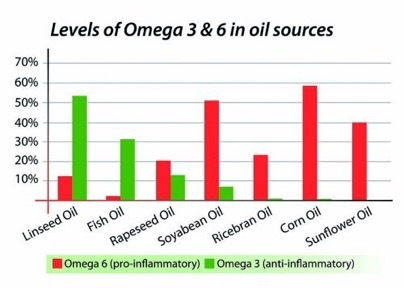 Because Second Nature Organic Rapeseed Oil and Flaxseed Oil (also known as Linseed oil) have good ratios of Omega 3:6 as shown in the diagram above they are excellent additions to your diet. Cold pressed rapeseed oil contains only 6% saturated fat — a small amount compared to that of olive oil, which contains 14% saturated fat. If you want to reduce your cholesterol levels, Second Nature’s Rapeseed Oil and flaxseed oil is the healthier choice. Vitamin E is a powerful antioxidant that helps the body to fight against the negative effects of free radicals, heart disease, cancer and aging. It’s also beneficial for healthy skin, eyesight and reproduction.